Fatal accidents had a large increase in 2015. According to the National Highway Traffic Safety Administration, there were 35,092 people who lost their lives in fatal motor vehicle crashes, a 7.2 percent increase over 2014 data. This is the largest percentage increase in nearly 50 years. Although fatalities increase in almost all segments of the population, the one group that remained unchanged were drivers of large trucks. However, those are nationwide numbers. When you look at Texas’ numbers, the story is much different. However, those are nationwide numbers. When you look at Texas’ numbers, the story is much different. According to the NHTSA, in most states, fatal truck accidents account for approximately 10 percent of the highway deaths. But not in Texas — the number stands at 16 percent. In the last four years, fatal 18-wheeler accidents increased 38 percent, from 400 to 533 annually. Speeding — Truck drivers have a deadline to meet and by law, they can only be on the road for a certain number of hours in a day. In an attempt to meet their deadline, truck drivers may drive a little too fast on the roads. Since it takes some time for an 18-wheeler to stop, truck drivers may not have enough time to stop before an accident can occur. Fatigue — As we’ve mentioned, truck drivers have to reach a destination at a certain time. And that may mean driving while tired. This can be a recipe for disaster. Sleepiness can impact not only your reaction time but also your vision and your judgment. A sleepy driver is almost as bad as an impaired driver. Impaired Driving — Drinking or doing drugs then driving can seriously affect your ability to drive. It is one of the top factors for accidents in this country. Distracted Driving — We all know this one all too well. 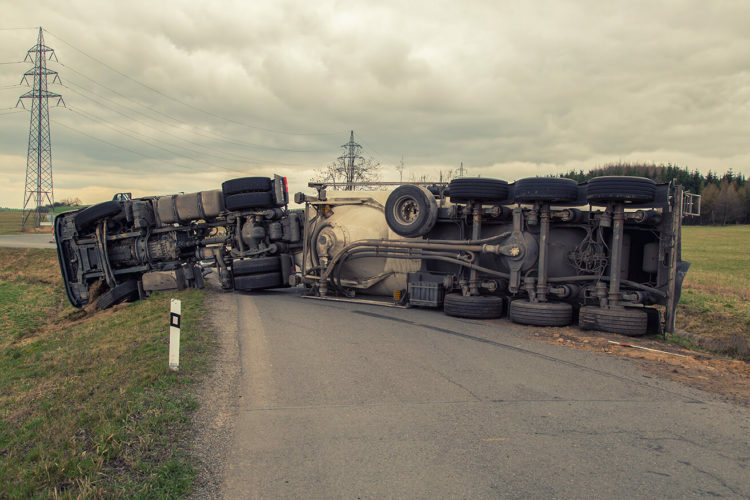 Mechanical Error — This may not happen as much as the others, but it is still a major cause of fatal truck accidents. Either the truck has not be maintained properly or there is a defect in the vehicle. If you lost a loved one in a fatal truck accident in Texas, you should know your options. You do have the right to not only sue the driver but the trucking company and in some cases the truck manufacturer. It can be a difficult process, especially if you don’t have the right lawyer by your side. Contact a Houston fatal truck accident lawyer at de Lachcia Law Firm today for a free evaluation of your case. Hablamos Espanol.